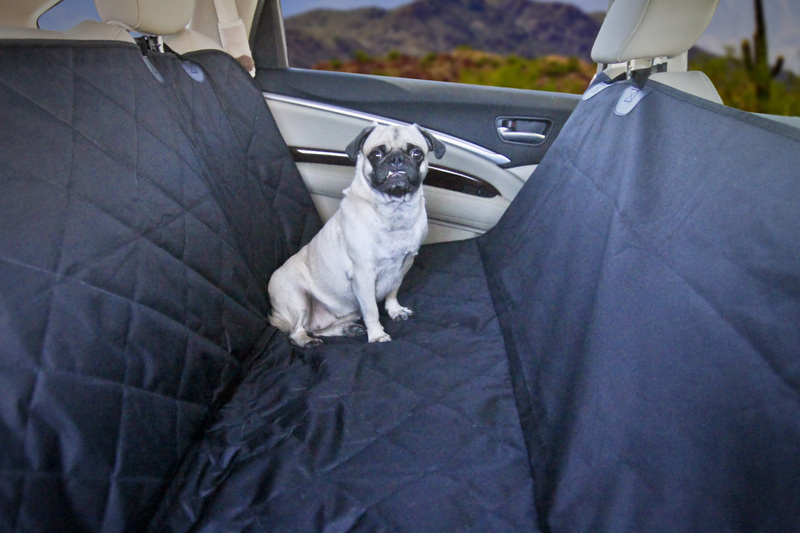 I just got this great backseat seat cover from Devoted Doggy. We have four dogs and we love to take them with us when we are traveling and I just hate the thought of my babies inside a small carrier the entire trip. So I started looking for a solution. This seat cover from Devoted Doggy is amazing! You can stretch it out over the backseat I put this in the very back of caravan and use the included straps to connect it to the headrests. This makes a little shielded area for doggies to ride. I love this because the material is super tough and their claws can’t get through it. It’s also water resistant so if they get to excited and have an accident then all I have to do is take out this cover and wash it instead of scrubbing the car seat. It fits perfect and the dogs love it cause now they can run around in their little boxed in area.